Former 4 division world champion Adrien Broner was arrested on Monday night and booked at the Atlanta Fulton County Jail on a misdemeanor charge of sexual battery according to many reports and later confirmed by jail records. The troubled 28-year-old is scheduled to appear before a Judge at 9am Tuesday, TMZ reports. Broner is alleged to have inappropriately groped a woman at the Lenox Square shopping center as BSO is reporting the incident took place in front of the Louis Vuitton store. Broner has denied the allegation. Broner has had many incidents with the law outside of the ring with a criminal history that includes charges of robbery (2007 and 2010), aggravated robbery (2007), felonious assault (2007, gun charges (2007 and 2008) and battery (2013). Just last April, Broner was arrested in Covington, Kentucky on an open warrant for a 2014 public intoxication charge after police had pulled him over in a SUV filled with bullet holes. Later that year, a video surfaced of Broner sucker punching a man and knocking him out cold at the Las Vegas strip in which a summons for battery was issued for the incident. Broner (33-3, 24 KOs) is scheduled to fight Omar Figueroa in a Showtime televised main event on April 21 at the Barclays Center in Brooklyn, New York. There is still no word if the recent arrest of Broner will affect the upcoming bout with Figueroa. 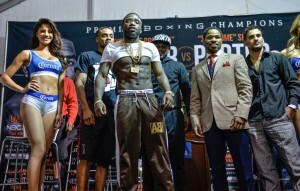 Prior to the incident, Broner had pleaded with his followers that major changes were coming to his boxing career. He promised to get back to the top and even made changes to his corner by working with veteran trainer Kevin Cunningham. However, disturbing posts to his social media accounts would surface not long before the incident in Atlanta. 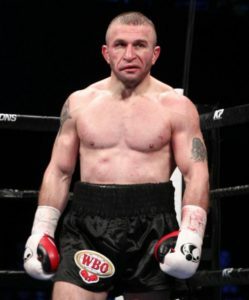 The 28-year-old is now considered one of the big busts in boxing after being groomed by the PBC as being their next PPV star. The promotion had hoped to break him through that barrier by lining him up with significant fights that could propel his career to the next level. Broner would failed miserably with each opportunity however, losing a clear unanimous decision to Marcos Maidana in December of 2013, followed a by terrible performance to Shawn Porter once again losing by unanimous decision, and a one-sided lost last July to Mikey Garcia. Another bad loss could spell the end of the Broner’s career as a main event headliner.